This Easy Breakfast Oatmeal is my new favorite breakfast. It’s easy, quick, nutritious and most of all delicious! It takes just 60 seconds to prepare in the microwave. Perfect nutritious breakfast for the kids before a long day at school. Your favorite toppings I use 2 tablespoons of brown sugar, blueberries and milk. 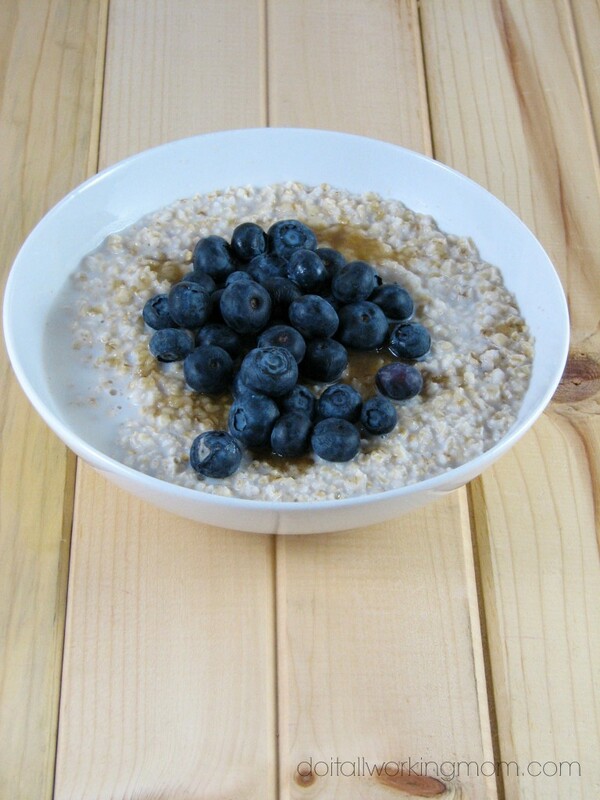 Place the quick cooking oats in a bowl. Your favorite toppings I use 2 tbsp of brown sugar, blueberries and milk. This is such a great recipe for breakfast, I find mornings so busy! This looks nice and easy, and healthy. Thank you for sharing!